On Friday 24th March, Fulham Cross Girls’ School participated in Red Nose Day for Comic Relief, a UK charity. As a school we took part because it is an opportunity for pupils to learn valuable life skills, pupils gain understanding and empathy for others in the world and it brings the whole school community together. Our school has helped make a difference to people’s lives. This year we ran a Destination Challenge for year 7-9 and Lunch sporting competitions for year 10-11. 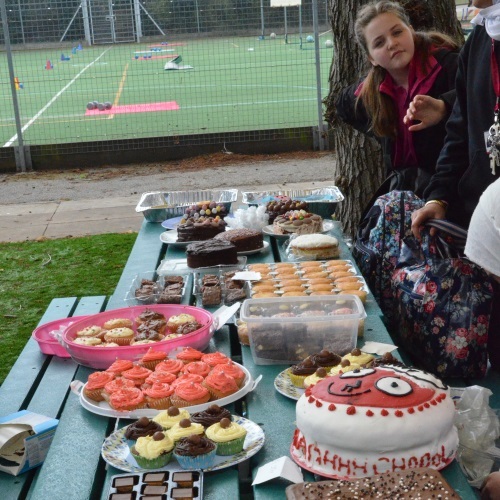 There was also a cake sale run by the challenge club at lunch time. Everyone worked super hard. Year 9 EMPOWER Day Workshop - PMNW!